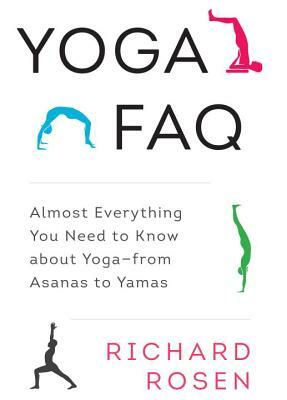 Concise and readable answers to the most commonly asked questions about yoga, and illuminating little-known facts and esoteric aspects of the philosophy and practice--by renowned yogi Richard Rosen. RICHARD ROSEN is a graduate of the Iyengar Institute of San Francisco and has been teaching yoga since 1987. He is a contributing editor at Yoga Journal and the president of the board of directors of the Yoga Dana Foundation (www.yogadanafoundation.org), which supports Northern California teachers bringing yoga to underserved communities in the Bay Area. His teaching schedule is at www.richardrosenyoga.com.